Dr. Sullivan has been a licensed psychologist for over thirty years, and he has seen a lot of therapy fads come and go. He has maintained a sensible approach to people’s problems and has found that common sense is an excellent guide for what works in this field. Dr. Sullivan specializes primarily in child and family evaluations and therapy. He conducts psychological evaluations for a wide range of learning or emotional disorders, and works in consultation with physicians, schoolteachers, and others. Marital work and several types of individual therapy are also performed in his treatment. 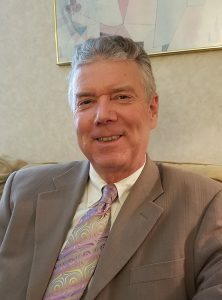 Dr. Sullivan completed his Ph.D. in the Clinical Psychology program at The University of Toledo in 1983 with an internship at Mount Sinai Hospital in Hartford, Connecticut. He received his B.A. degree from The University of Tennessee, after graduating from Huntsville High School. He is married and has one grown daughter. Please telephone Michelle or Vicki at (256) 880-8202. They will help you determine which of our providers will best suit your needs.